Apply for your season tickets either online or by post. Complete payment either by Bank Transfer (Barclays Bank – Account Number: 33543145 – Sort Code: 20-60-66) with the reference SEASON TICKET, PATRON or VP, depending on your membership. 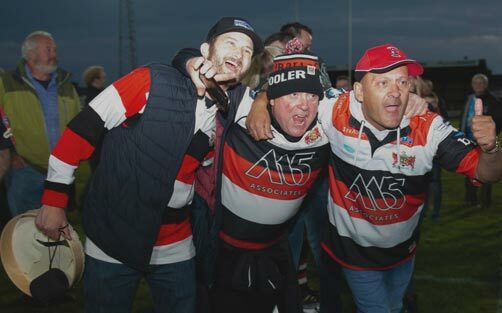 Early-Bird Season Ticket membership costs £65 for adults or £45 for over-65s, students and disabled people. 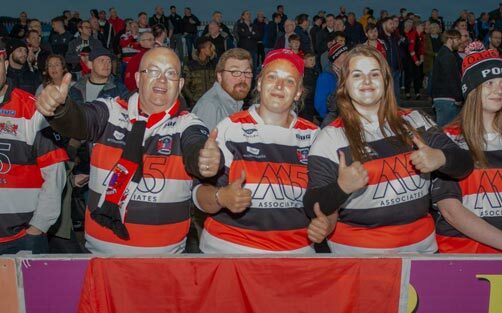 Please note that regular admission to Pontypool RFC home fixtures is free of charge for under-16s when accompanied by either an adult season ticket holder or an adult purchasing a ticket at the gate on the day of a fixture. 1 admission to all 2018-2019 Pontypool RFC WRU National Championship home fixtures. 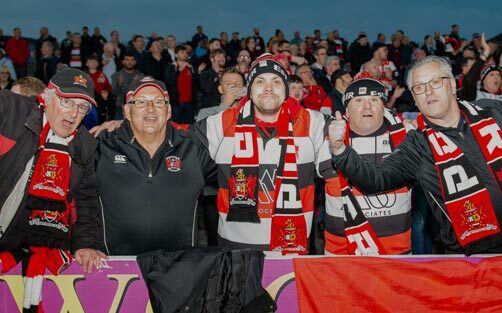 1 admission for pre-match and half-time hospitality at all 2018-2019 Pontypool RFC WRU National Championship home fixtures. 1 guaranteed ticket for each 2018 Under Armour Series and 2019 Natwest Six Nations home fixture, to be purchased at face value. 1 guaranteed ticket for each 2019 Natwest Six Nations home fixture, to be purchased at face value. 2 admissions to all 2018-2019 Pontypool RFC WRU National Championship home fixtures. 2 admissions for pre-match and half-time hospitality at all 2018-2019 Pontypool RFC WRU National Championship home fixtures. 2 invitations to the 2018-2019 Pontypool RFC end of season presentation evening held at the Parkway Hotel & Spa. 2 guaranteed tickets for each 2018 Under Armour Series and 2019 Natwest Six Nations home fixture, to be purchased at face value.